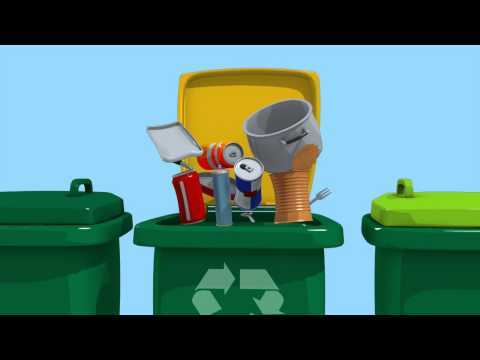 Want to step up your recycling and waste management? As an individual you can’t control factories pouring toxins into water ways or prevent oil leaks that endanger some species, but you can make an impact, none the less. How? First, by not adding to the madness and wasteful ways others are handling items and materials that can be recycled and secondly, and maybe more importantly, you can make an impact by being a leader in the crusade to save the planet by doing the right things. It may come as a surprise to you, but there is a really good chance that the town or city you live in offer a service you may not have heard of; an energy audit. Cities and towns all over the country have started doing this, where an auditor comes to your home and goes through your living space and helps you to see where you could make changes that will not only help you conserve energy but will help you save money! What a bonus it is to save money by doing the right thing. There are so many changes you can make in your home to impact the way we recycle and in the end, will help you keep some of the money in your pocket. Having recycling bins or a recycling center set up so that you can properly sort the items that are recycled is a great first step. That activity alone can cut down greatly on the items that end up in the landfills rather than where they can be recycled. When you recycle yourself, believe that there are people who are watching and making decisions everyday, by watching how you handle yourself. Big issues are often started with a few concerned, aware people, well before the word gets out to big corporations and law makers that there is a change that needs to be made. Recycling: a look at some US cities. New York City, in just its five boroughs, has a population of over 8 million and in an area smaller than most states; you can just imagine how much waste is created on a daily basis. Waste management recycling in New York City is mandatory and has been since July 1989. Before that date, starting in 1986, recycling was voluntary only and as it began to catch on, recycling-educating materials from pamphlets, decals to TV and newspaper advertisements flooded the area up until 1997, when all five boroughs and all 59 districts were recycling all of the same materials. By this time an impact was being made in recycling waste right up until the events of September 11th, 2001. After the 9/11 tragedy forced budget cuts were implemented for the Department of Sanitation. Recycling continues today in many U.S. cities as a mandatory action for all residents, schools, institutions, agencies and all commercial businesses. But in San Francisco you can recycle just about everything, but they even believe achieving zero waste is possible. That´s a goal which no other city in the world of comparable size has done before. In 2015 San Francisco has a recycling rate of 80 % already, Los Angeles is at 76 , San Diego at 65 and Seattle at 60 %. But it is hard to hit Sweden where less than one per cent of household waste ends up in a rubbish dump already. Paul Steinberg, professor of political science and environmental policy at Harvey Mudd College once stated: “We spend so much time thinking about the “little” things we can do for the environment, like recycling a bottle, but so little time engaged as citizens in changing policies to promote sustainability.” We should see recycling, solid waste management and metal recycling as a first step to a more eco friendly environment and keep an eye on alternative energy and eco friendly living.